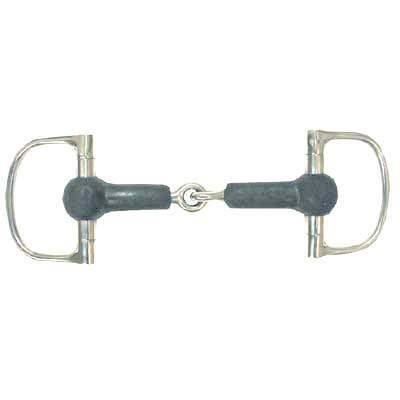 The Rubber Mouth Dee Ring Snaffle Bit measures 2 1/2" rings and 15mm in the mouth. We only offer the most asked for Horse Dee Bits for your Horses. All of our Rubber Mouth Dee Ring Snaffle Bits are made with superior quality materials. Take a look at our Snaffle Bit collection. These Racing Dee Bits are made of the highest quality available and sold at discount prices. Available in: 4 1/2'',4 3/4'',5'' or 5 1/2''.